PAPUA New Guinea’s top domestic rugby league competition, the Digicel Cup, was given a boost yesterday with a K400,000 sponsorship from SP Brewery for this year’s season. 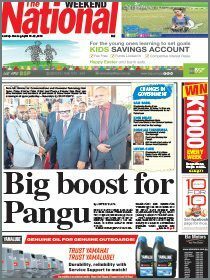 With the opening round of matches set to kick off on Sunday, the brewer, who is one of the country’s biggest supporters of sport, is teaming up with the PNG National Rugby League, the competition’s governing body, and major sponsor Digicel to fund the 11-team, 20-week competition. The presentation was done at a brief ceremony at the firm’s head office in Port Moresby. The brewer gave K250,000 last season and this year’s amount represents a 60 per cent increase to platinum status from a firm that last held the naming rights to the competition in 2008. The firm’s managing director Stan Joyce said the brewer had a long history of supporting sport dating back to the late 1940s, and more with rugby league with the brewer having started the inaugural Inter-City Cup in 1990 and remaining as the naming rights sponsor for 19 years before Bemobile (2009-2010) and then Digicel (2011) took over. Joyce said the firm first backed rugby league in 1949 through the Papua Rugby League, the precursor of the Port Moresby Rugby League, and in 2014 began as the major corporate sponsor of Queensland Cup club the PNG Hunters – a position it still holds three years on. “We’ve been involved with rugby league through the SP Inter City Cup from 1990 to 2008 and although we’re no longer the major sponsor of this competition, we have maintained our relationship with the league over the last seven years, taking the game to the next level because it is the country’s number one sport,” Joyce said. He commended franchise owners for their commitment which ensured the success of the competition. He said the teams were the pride of their provinces and engendered a large following from communities around the country. Joyce, however, was critical of the violence that had become an unfortunate part of the game over the years and urged the cup organisers and franchises to stamp out spectator and player violence which was damaging the sport. PNGNRL administrator Stanley Hondina said SP Brewery was one of their partners and pledged to run the competition in a fair, diligent and professional manner. 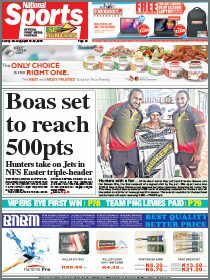 Fixtures: Round 1, Sun, April 17 – Gulf Isapea vs Port Moresby Vipers, Hagen Eagles vs Waghi Tumbe, Mendi Muruks vs Goroka Lahanis, Simbu Lions vs Hela Wigmen, Agmark Gurias vs Enga Mioks (Note: First team is home side). Bye: Lae Tigers.